You`ll steal the show wearing HEADLINER! 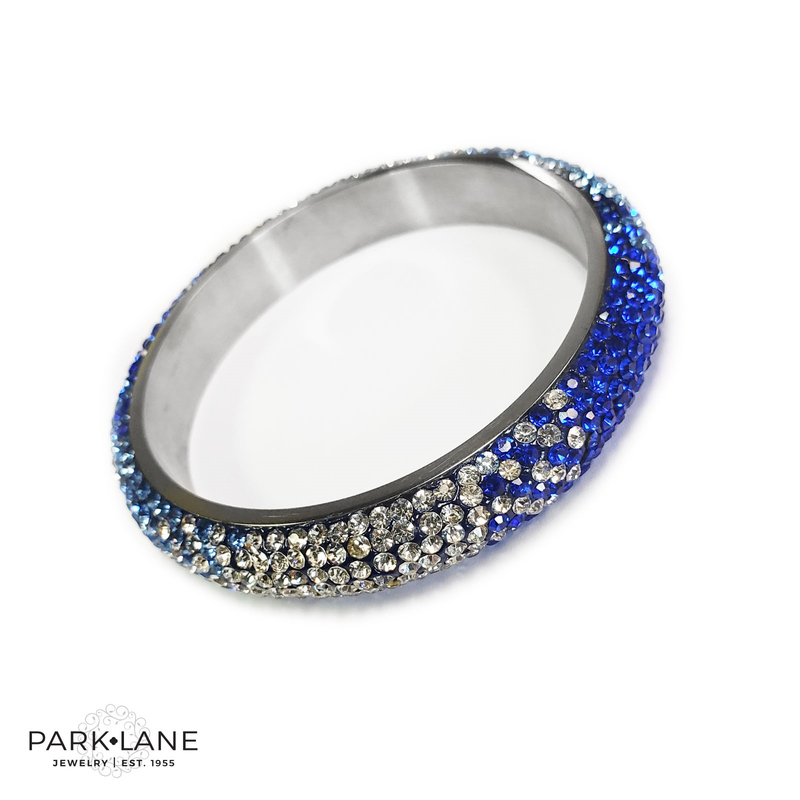 Our stainless steel bangle features sections of crystals that start out clear, melt into sparkling pastel gray, and ultimately become a pool of jet black. 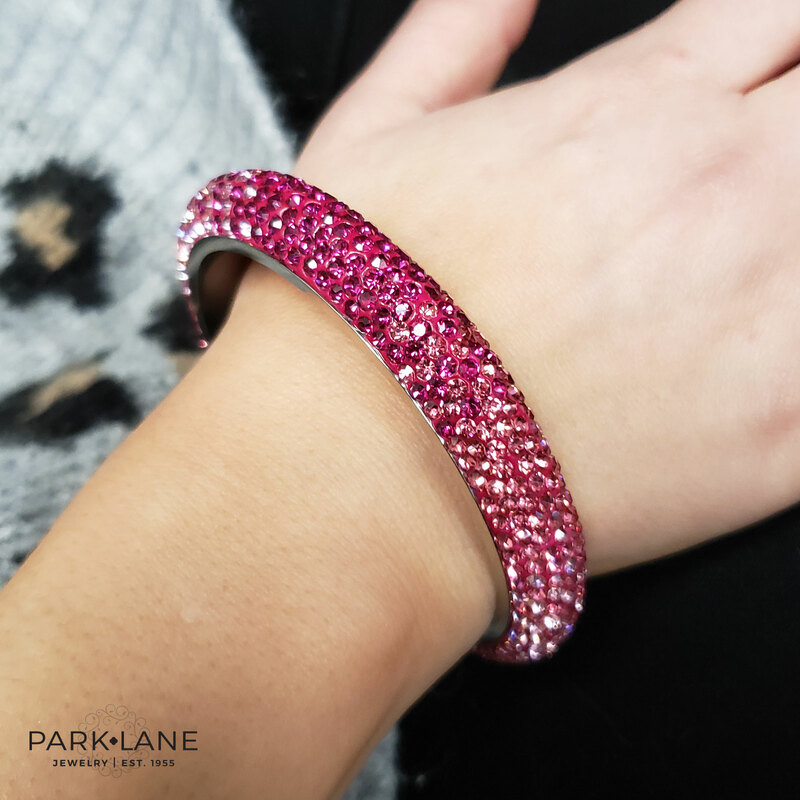 Available in three stunning hues: rosy pink with fuchsia and clear crystals royal blue with powder blue and clear crystals hematite gray with jet black and clear crystals!